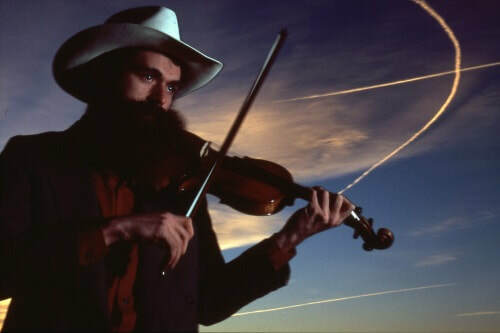 ​Old Time Fiddle by Ear: In this one-hour workshop Aaron Jonah Lewis will teach old time fiddle by ear. This workshop is aimed at people who can already play their fiddle/violin but will be taught by ear so you don’t need to read music. Where: First Presbyterian Church, 201 Kanawha Terrace, St Albans, WV. Cost: Fiddle Workshop - $20; Concert - $15; Both workshop & concert - $30! ​Aaron Jonah Lewis is a champion fiddler who has been elbow-deep in traditional American fiddle and banjo music. ​An evening with Aaron Jonah Lewis ranges far and wide through the history of American fiddle and banjo traditions. ​Cost: Fiddle Workshop - $20; Concert - $15; Both workshop & concert - $30! A fantastic dance weekend in the beautiful New River Gorge area of West Virginia! Good food, good friends, good music! ​Save the date of Sunday, June 9 for the FOOTMAD annual meeting/picnic. Shelter #6 at Little Creek Park, 2:00 - 5:00 PM. Bring a friend, a dish to share and your instruments. See you there! In case you missed FOOTMAD's Andes Manta concert April 6 at the Culture Center, a bit of their music was captured by WV Public Radio. An interview with the band and a short performance was recorded at the WVPBS studio in Charleston. Many thanks to Matt Jackfert for recording and airing this piece on Andes Manta. To visit the WVPR page and here the recorded session, click here. Thank you Jennifer Allison Bauman for providing these images of the concert. ​All welcome. Come to play. Come to listen. Come early (6 pm) and join the pre-jam dinner gathering of jam friends who each week meet to chew and chat. Fireside Lounge, Little India Restaurant, 1604 Washington St E, Charleston. More info: Wednesday Acoustic String Jam event page on facebook. Generate Amazon donations to FOOTMAD as you shop. Easy, simple, automatic! No cost to you.